At Pioneer Tree Farm we raise our trees organically, and use no pesticides as we contend with weeds and other tree pests. (Occasionally we do treat some invasive hardwood species with an herbicide). Our motivation is love of nature trees, wildlife, weather, the land and what we sell is an experience along with your Christmas tree. This year we will be open 9:00 a.m. to 4:00 p.m. Friday after Thanksgiving day, and Saturdays and Sundays until Christmas. Everything else is much like old times (see more details below). 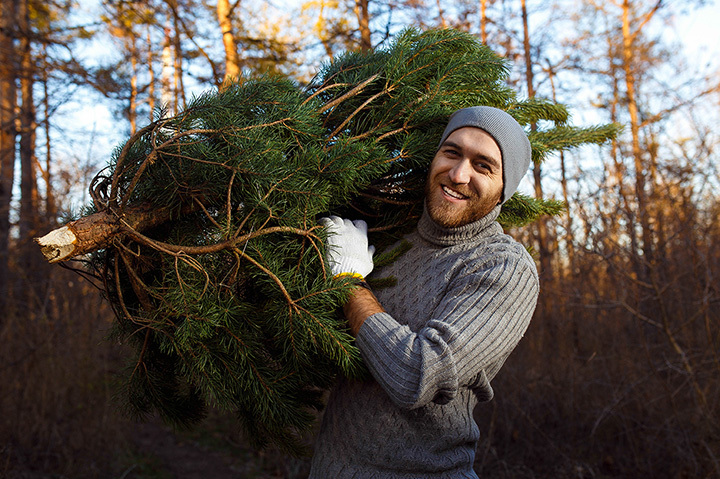 As you enjoy your walk around to look for your tree, we hope you will enjoy the country air and the diversity of vegetation on our tree farm, perhaps see some wildlife, and have fun with other friendly people!